Two years ago we had brought you a report on where to find Daal-Roti in Taipei and today we’ll do the similar report for Kaohsiung. Ali told me that his business started as a small stall serving Pakistani chicken wrapped in chapatis and today it has grown into a proper restaurant with a seating room for approx. 15 people. One should not expect to find authentic nihari, haleem or Lahori chargha here but they do sell the food that is closest to Pakistani food one can find in Kaohsiung. Lahore restaurant now boasts of a very long menu with Pakistani, Taiwanese, Mexican and Mid Eastern dishes on it. 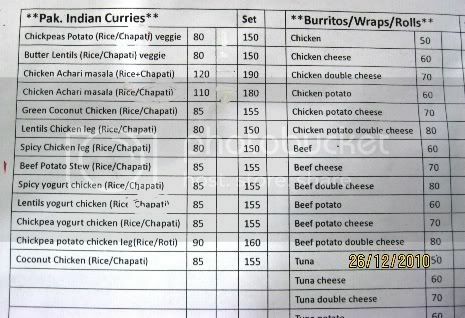 In the following photo I’ve tried to capture their Pakistani portion of their menu. My family, friends and I ordered a couple of Chicken curries, Chicken Biryanis, and Mango lassis. Tea, Fruit Custard and Salad came as part of the ‘combo’ meals we had ordered. 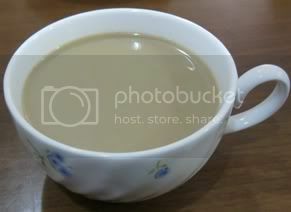 (Photo to the left is a cup of tea that came with our order of a set – combo). The quantity of food was enough to fulfill our hunger. I want to say the same thing about the taste but my journalistic responsibility will only allow me to repeat the sentence that it is the closest Pakistani taste you can find in Kaohsiung. (Photo to the right is the mango lassi you can get at Lahore restaurant.) Ali, the owner of the restaurant speaks fluent Chinese, which bodes well with his Taiwanese clients. He also speaks perfect Urdu – which made chatting with him easier for me. 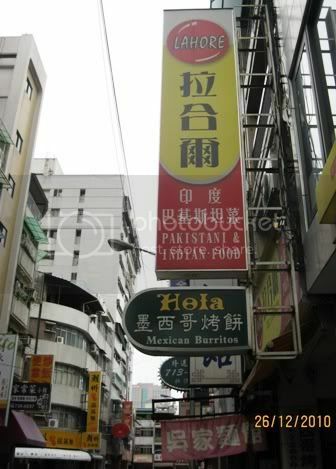 I must say that I was surprised to see a Pakistani owned restaurant with a name like ‘Lahore’ in Kaohsiung, therefore this fact alone has qualified this post for ATP. I will recommend a trip to Lahore in Kaohsiung if you happen to be there. And now when all is said and done, I observed the following notice pasted in the restaurant. 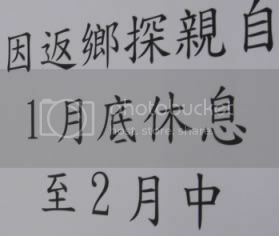 The notice says that restaurant will be closed for few weeks starting mid January 2011 because the owner is going back to his home country. The language of notice brought me smiles as well as the observation about so many immigrant businesses who don’t get any choice but to close their businesses when they have to visit their native countries. Can someone please explain exactly what is ‘pakistani’ cuisine?? 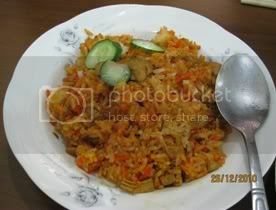 If you are referring to Haleem, nihari, biryani etc…then technically that’s Indian Mughlai food.